The Butterfly Fitness table tennis table is suitable for indoor use and has a 16mm playing surface. The top of this quality rollaway table features high density chipboard ensuring great strength and the most consistent bounce. 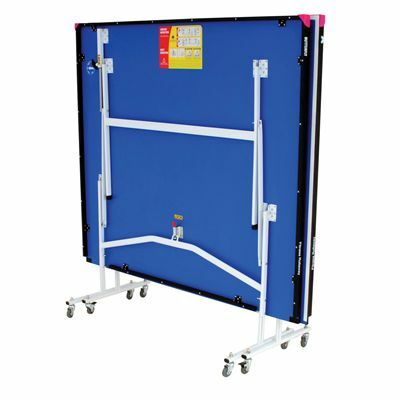 It offers a solid steel frame and has 2 separate halves foldable for easy storage. 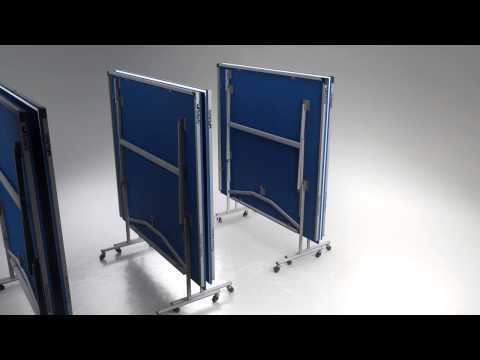 In addition, each half is equipped with 4 independent wheels providing comfortable transportation. 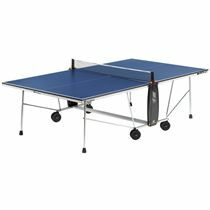 The table comes with an included net and post set, as well as with 2 reverse sponge bats and 3 practice quality balls. 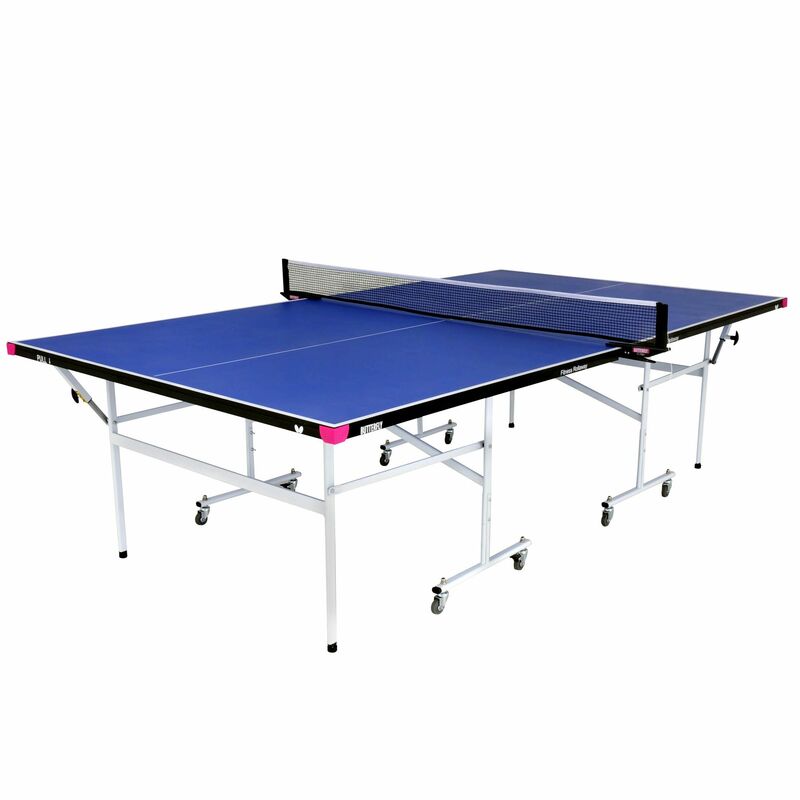 It stores away using minimum space and enables you to play against yourself thanks to the playback facility. 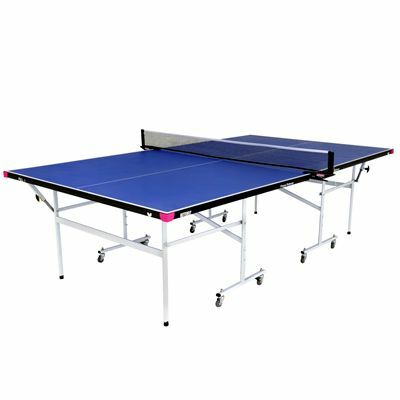 for submitting product information about Butterfly Fitness Indoor Table Tennis Table We aim to answer all questions within 2-3 days. 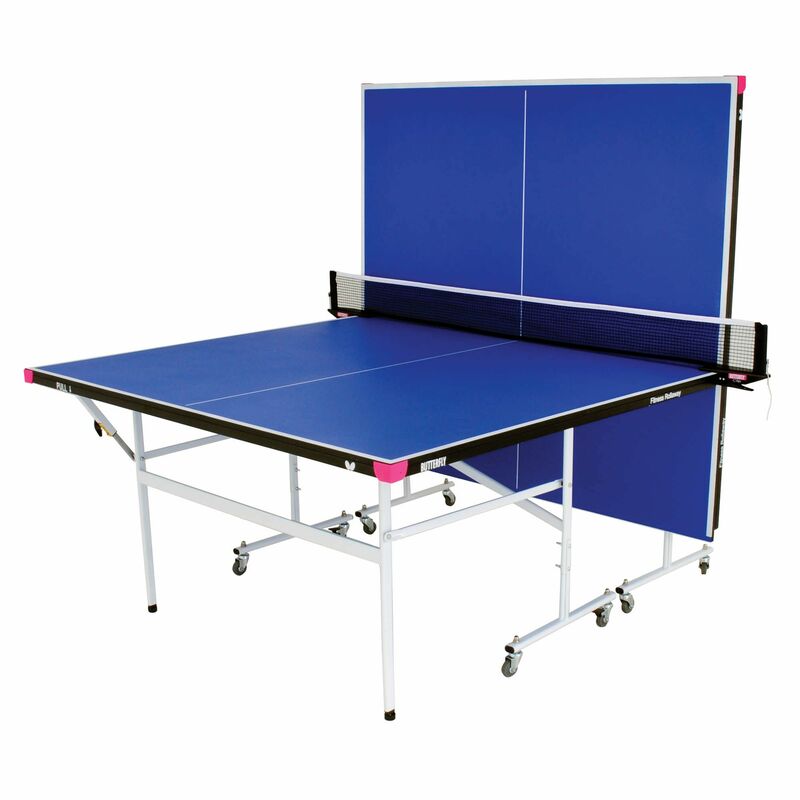 for submitting product information about Butterfly Fitness Indoor Table Tennis Table. We aim to answer all questions within 2-3 days. If you provided your name and email address, we will email you as soon as the answer is published. for submitting product review about Butterfly Fitness Indoor Table Tennis Table.